Considerable cloudiness. Occasional rain showers in the afternoon. Thunder possible. High 66F. Winds NNW at 5 to 10 mph. Chance of rain 40%..
Showers early becoming a steady light rain late. Low around 55F. Winds light and variable. Chance of rain 60%. Thin wheat stands will need to be evaluated following green-up. Ideal wheat stands will have 25 plants per sq. ft. with 3-5 tillers per plant. 12-15 plants per sq. ft. is minimum guideline for grain production. Editor’s note: The following was written by Gregory Luce, University of Missouri Division of Plant Sciences, for the university’s Integrated Pest Management website March 7. Last fall it was extremely difficult to plant wheat in a timely manner across most of Missouri. We also had a colder, harsher winter than we have had in recent years. Wheat is resilient and can recover. However, the extremes this season along with the lateness of the crop are enough to have generated numerous questions about wheat stand potential. 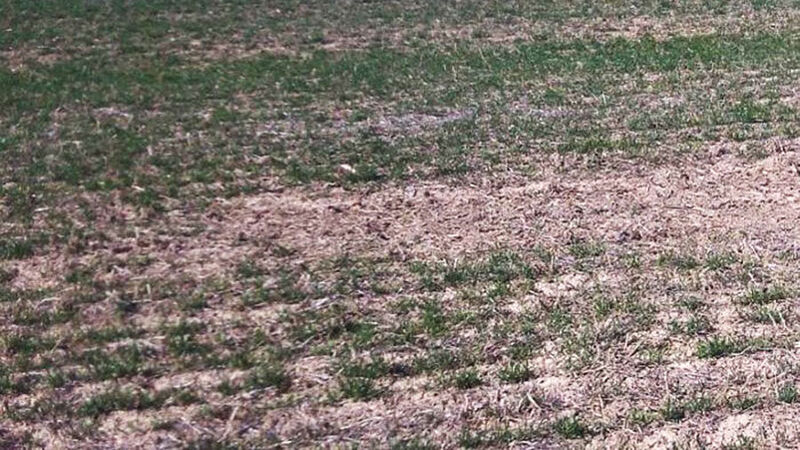 Wheat breaks dormancy at a soil temperature of about 39 degrees. Allow about 10 days to two weeks of warm weather once green-up begins before counting stands. Winter survival can vary greatly across the field and is highly dependent on topography. Winter kill is most likely to occur in areas with little snow cover or winter wheat fields with little to no standing stubble to collect snowfall. Standing water and ice covering wheat plants for several days can suffocate the crowns. Stands are typically weakened in those areas and can have complete loss of plants. Exposed hilltops may also have less stand than protected areas of the field. A stand with 24 or more plants per square foot will be enough to maximize grain yield. If stand is relatively uniform across the field, 15 plants per square foot can still produce reasonable grain yields. To properly assess a wheat stand, observe 10 to 15 locations across the field. Count the number of plants and/or tillers per square foot. Ideal wheat stands will have 25 plants per sq. ft. with 3-5 tillers per plant. A stand with 12 to 15 plants per square foot is the minimum that should be considered for grain harvest. A lower wheat stand population is best planted to another crop. When using tiller counts to determine the condition of wheat fields, only count tillers that have at least three leaves per plant. 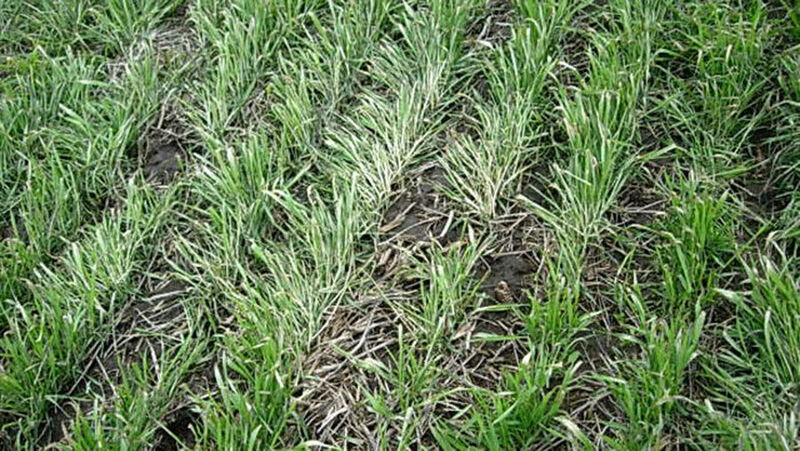 Since much of the wheat crop did not have time for adequate tillering in the fall, it will be important to supply nitrogen early to help compensate for the delayed growth.